Like her predecessor, the current Nieuw Amsterdam spends the northern hemisphere’s summer cruising the straits of Alaska. These seven night cruises depart from Vancouver and give you the opportunity to visit the awe-inspiring Glacier Bay and Tracy Arm inlet as well as the frontier towns of Juneau, Skagway and Ketchikan. As the weather starts to cool in the north, Nieuw Amsterdam makes her way via the Panama Canal to the Caribbean, where she spends the winter months chasing the sun in the tropical waters and sandy beaches of the Caribbean islands. Nieuw Amsterdam‘s cruises in the Caribbean depart from Fort Lauderdale. 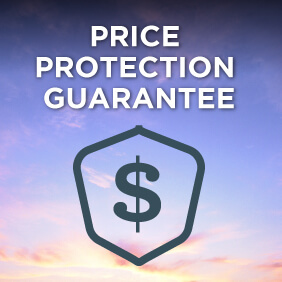 You can either chose to complete a seven day eastern Caribbean getaway, a seven day western Caribbean escape or book one of their back-to-back 14 day eastern and western Caribbean holidays. 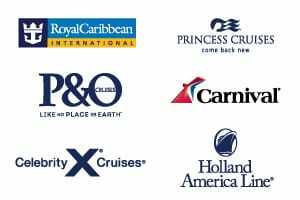 View all Nieuw Amsterdam cruises, view a selection of Holland America cruise deals, or view more options for Holland America cruises. Holland America Line has installed an array of works valued at over $3 million, ranging from antiques by traditional Dutch masters to creations by renowned contemporary artists. Some pieces reflect the Dutch Golden Age while others, such as the spectacular centrepiece in the atrium, express a contemporary curiosity. Adorning the ceiling of Nieuw Amsterdam is an eye-catching abstract sculpture of the inverted New York skyline made from clear translucent blocks that hang upside-down. The sculpture was created by husband and wife Italian artists Gilbert Lebigre and Corinne Roger of Creazioni Lebigre & Roger. The significant collection, which includes works by celebrated artists Andy Warhol, Richard Estes and Roy Lichtenstein, continues with astounding displays throughout the ship. 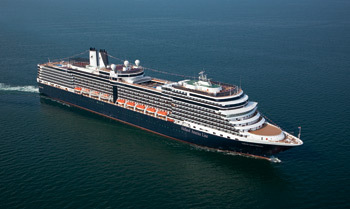 Nieuw Amsterdam joined the Eurodam to further define and expand the Holland America Line premium brand with new concepts such as the innovative pan-Asian Tamarind restaurant and Silk Den lounge surrounded by panoramic views overlooking the ocean expanse and the Lido pool. Other additions are an Explorer’s Lounge Bar, a premium wine-tasting lounge, an elegant luxury jewelry boutique, new atrium bar area, enhanced and reconfigured The Showroom at Sea, and a new photographic and imaging centre. The new ship continues several much-admired Holland America Line features, including outside-view, glass elevators at midship; the Explorations Cafe — a cyber-coffee house powered by The New York Times; the Pinnacle Grill and Pinnacle Bar; the innovative Culinary Arts Center presented by Food & Wine Magazine, where culinary experts provide cooking demonstrations and intimate classes in a state-of-the-art onboard show kitchens; an expanded Greenhouse Spa and Salon with thermal suites and hydro-pool, the largest gymnasium ever built for Holland America Line; and a youth facility that includes the teens-only Loft. In addition the ship will feature the family-style Canaletto Italian restaurant. The current Nieuw Amsterdam is actually the fourth iteration of Nieuw Amsterdam ships with Holland America. The first Nieuw Amsterdam was launched in 1906 and used both a full set of sails and steam engines. She was 17,149 tons and carried 2,886 passengers, 2,200 of them in third class. She sailed in regular service through World War I and then through to 1932. The famed Nieuw Amsterdam II joined the fleet in 1938 as the company’s flagship. The silhouette of this ship can still be seen today behind Henry Hudson’s Half Moon in the company’s logo. At 36,287 tons, “the Darling of the Dutch,” as she was known, was decorated in great style and was launched by Her Majesty Queen Wilhemina of the Netherlands. Nieuw Amsterdam II served proudly in World War II completing 44 war time voyages carrying nearly 400,000 passengers (mostly troops). Following the war she was rebuilt and, as the queen of Holland America Line’s “spotless fleet,” hosted countless well-known figures among her guests, including Katharine Hepburn, Rita Hayworth, Spencer Tracey and Albert Schweitzer. With innovative design and guest offerings, Nieuw Amsterdam IV continues the proud tradition of her name and evolution of Holland America Line’s sophisticated mid-sized ships. The second of Holland America’s Signature-class ships, Nieuw Amsterdam celebrates the glamour and history of New York City, formerly called Nieuw Amsterdam, with its inspired interior design and art collection valued at over $3 million, ranging from antiques by traditional Dutch masters to creations by renowned contemporary artists including Andy Warhol, Richard Estes and Roy Lichtenstein throughout the ship. Spa Staterooms: Relaxation…privacy…serenity. These are the hallmarks of the Nieuw Amsterdam‘s spacious new Spa Staterooms, located on the Panorama and Observation decks include special spa amenities. Every day aboard a Holland America cruise ship brings a wealth of cruise activities and indulgences, along with the freedom to partake in as many – or as few – as you please. Complimentary films and popcorn are waiting for you in your ship’s movie theatre. Movies can also be enjoyed from the comfort of your own stateroom or suite.